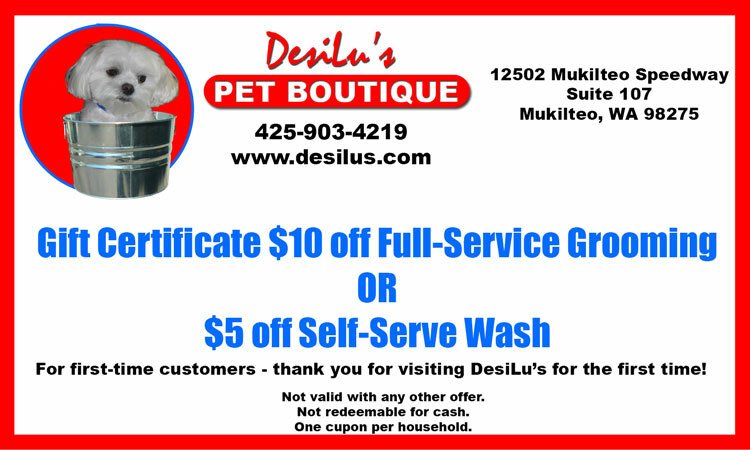 Welcome to DesiLu’s Pet Boutique! 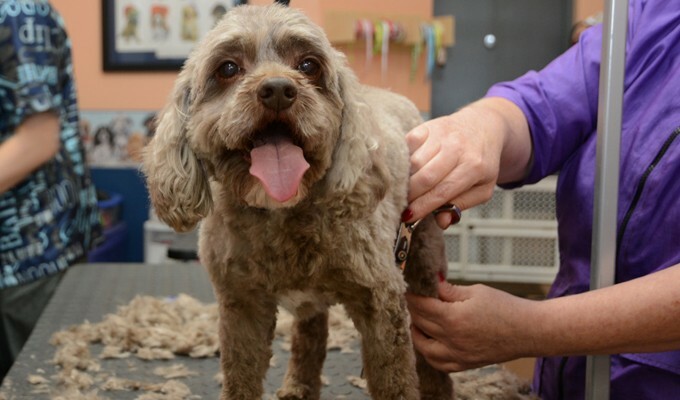 Is Your Pet Ready For A Superb Experience In Pet Grooming And Washing? 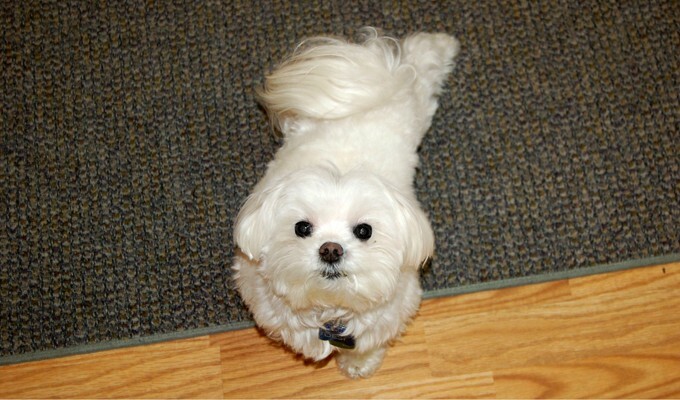 We provide Mukilteo pet grooming in a bright, clean & relaxed atmosphere! 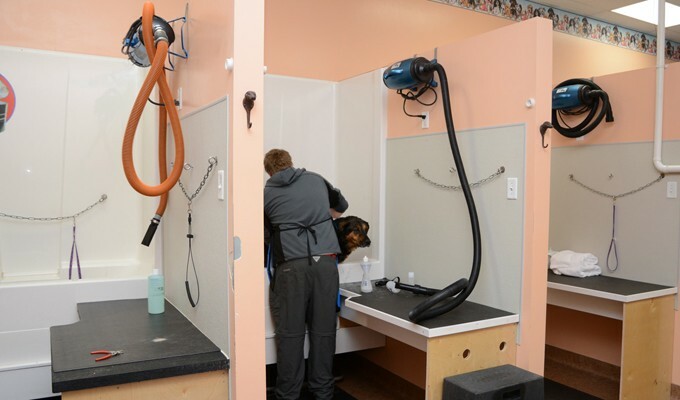 We are proud to offer a variety of services including Self-Serve Washes and Full-Service Grooming. 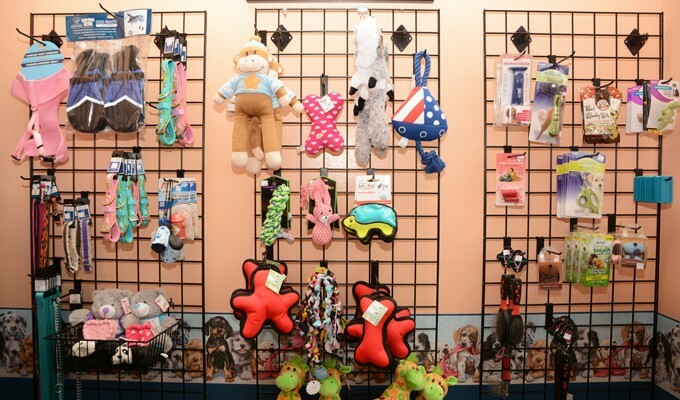 In addition, we offer a variety of grooming supplies, toys, and clothing for your pet. Check out our Services and Boutique pages for more information, as well as read our Reviews! 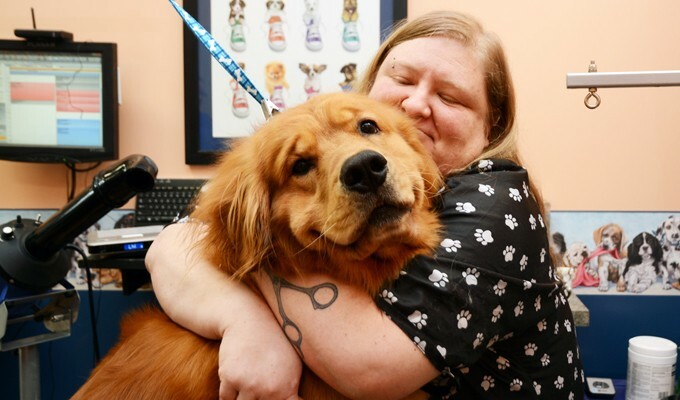 We offer one-on-one attention for your pet and take care of them as well as our own. 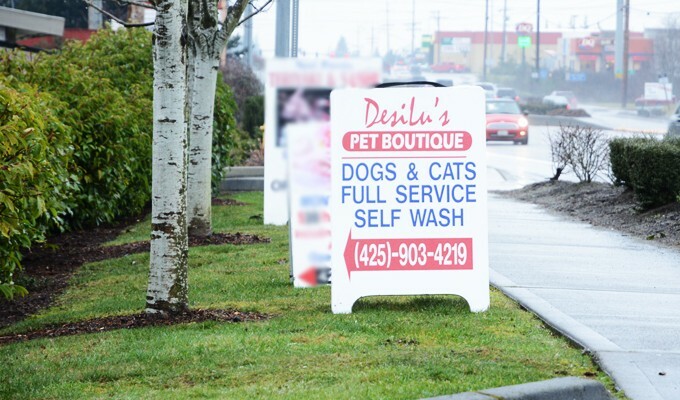 Our location serves Mukilteo and surrounding communities. If you have driven along the Mukilteo Speedway you have gone right past our location. 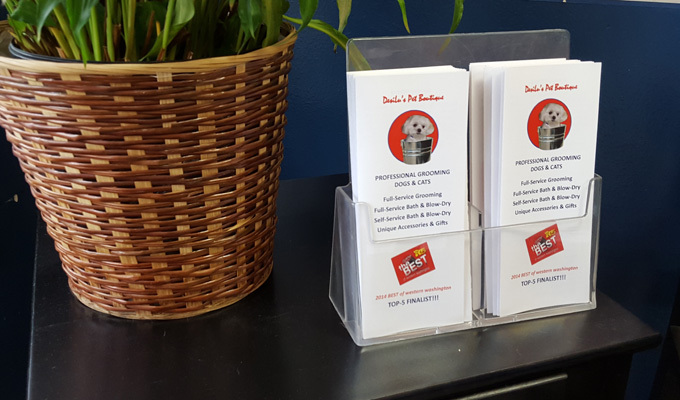 If you are a first time customer, we invite you to click here for a coupon to receive $10 off your first full-service grooming and $5 off your first self-serve wash.
We also provide discounts for rescued animals. Just bring in your paperwork!